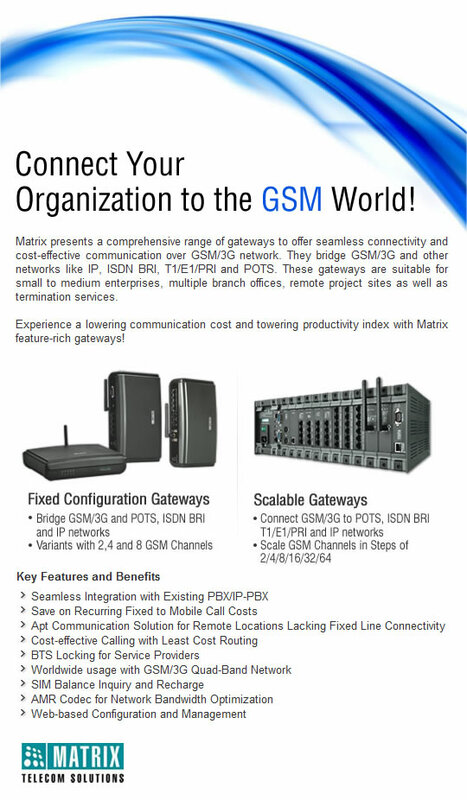 Matrix serves diverse communication needs of customers with its comprehensive range of GSM Gateways. Matrix delivers cutting-edge technology GSM Gateway Devices, rich in features and functionalities. GSM/3G has emerged as a superior alternative to the fixed-line networks and offer wider coverage and cost benefits. Today's businesses expect specific benefits from GSM/3G networks without sacrificing existing POTS connectivity. Matrix SIMADO GFX44 is a family of Integrated 4 Port GSM Gateways and 8 Port GSM Gateways, interfacing the GSM/3G networks with the wired POTS networks. Matrix SIMADO GFX44 is a Gateway offering interfaces for multiple GSM/3G and FXS ports. It can be used with any existing PBX without changing their existing telephony infrastructure or in a standalone mode too. 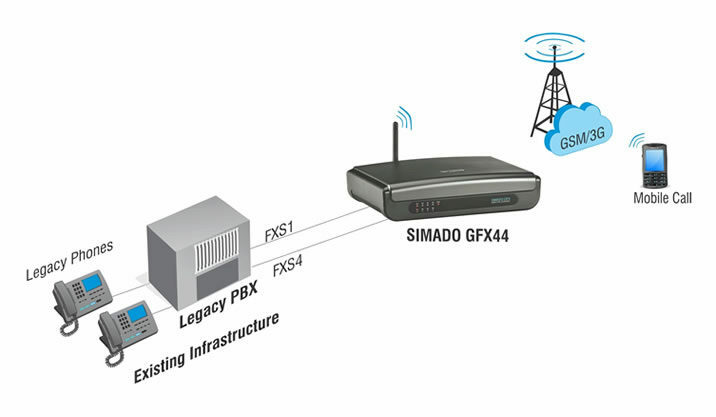 Matrix SIMADO GFX44 works as an adjunct and supports flexible routing options, providing significant cost saving and round-the-clock connectivity.